Ever wanted to be a part of a major movement ?! Well here is your chance! Be a vendor in this event, showcase your talent and let everyone know what you are about. This is the place to do it! F.ashion A.rt M.usic E.xhibitors is a unique traveling experience with exhibitors in the Fashion, Art, Music, Beauty and Fitness Industries, showcasing Fashion Designers, Art Shows & Live Performances during the event. 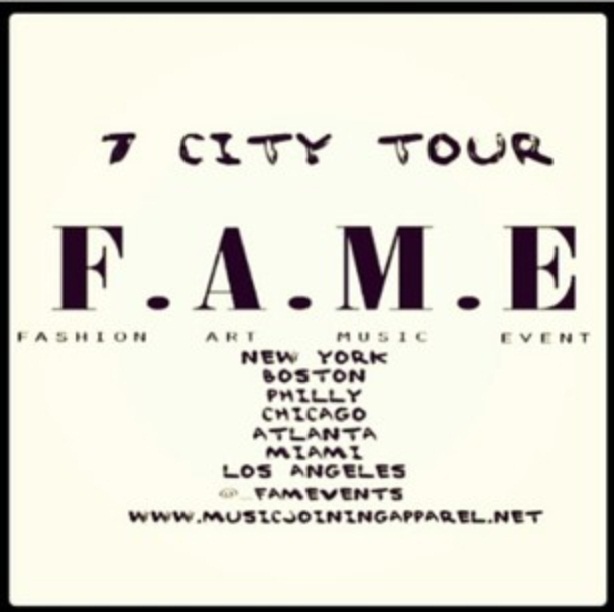 F.A.M.E by MJA 7 City Tour along with WeWantYouToHelp.org will benefit a local non-profit in each city. WeWantYouToHelp.org & MJA will organize a raffle in each city that will benefit our partner charities. Come expand, participate, network and give back.